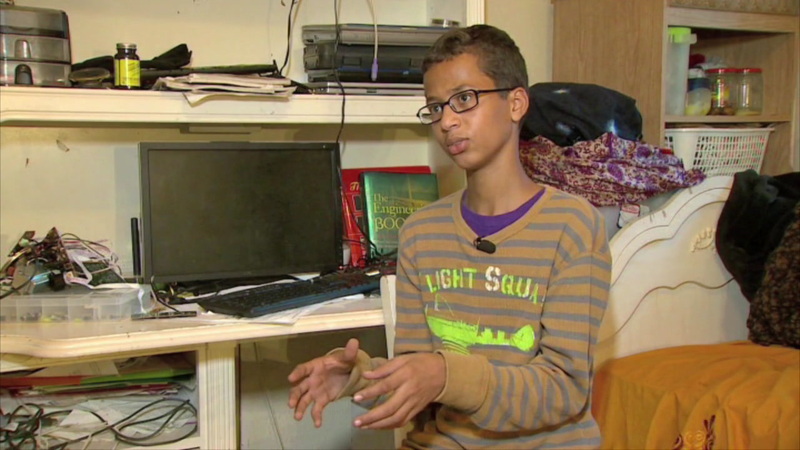 NEW YORK -- The Muslim student from Texas who was handcuffed after his homemade clock was mistaken for a bomb has visited New York City Hall. He met with Mayor Bill de Blasio, Public Advocate Letitia James, Comptroller Scott Stringer and members of the City Council. Mohamed said de Blasio told him to "keep doing what you're doing."